I am excited to introduce the soon to be released book, Why Mommy Carries A Gun by Stephanie Rogish and Lt. Col. Dave Grossman. "There are sheep in the world. They are gentle creatures who could never harm anyone on purpose. There are wolves. They do not care about others and they can and will harm the sheep. Then there are the Sheepdogs. These brave creatures will protect others from the wolf." Why Mommy Carries A Gun follows the Shepherd family. Dad is away on a business trip and mom is home with young Max. A knock is heard at the door and mom answers, gun in hand. All is well and everyone is safe but since Max saw mom carrying her gun, this provided an opportunity for mom to share why she carries with her son. Sheepdog mom has the tools and the training to defend her pups." When dad returns, Max is taught several lessons concerning gun laws and safety. He spends time with friends and they talk about whether or not they should play with toy guns. 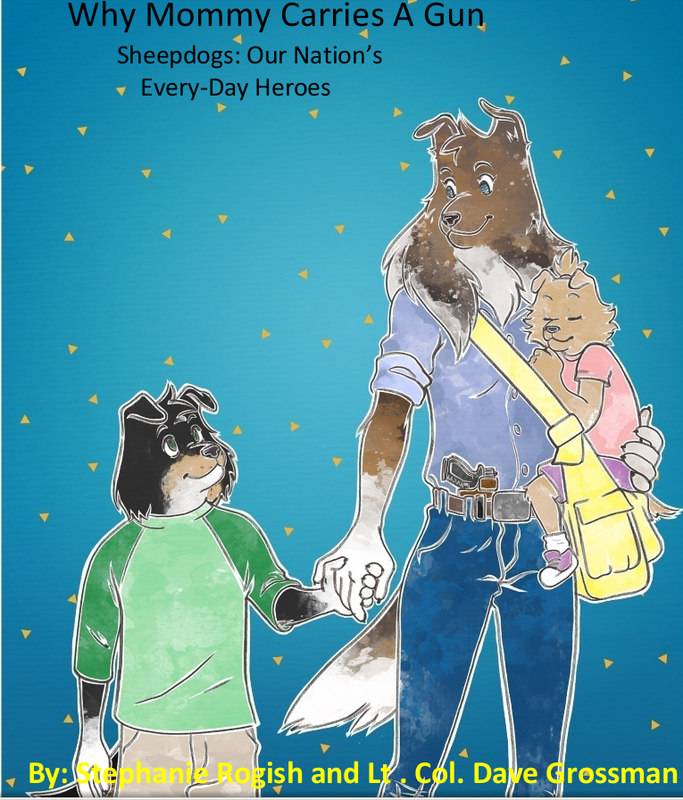 The book shares with children about the rights that every American has to buy, use and carry guns. Kids are also taught what to do when they find a gun and reminded never to touch a firearm without adult supervision. 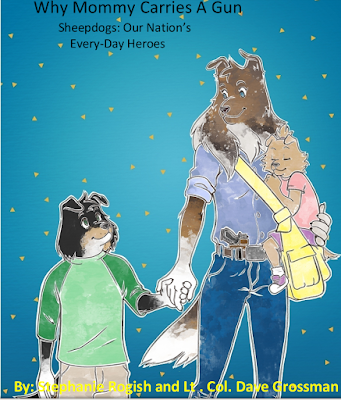 At the end of the book there is a workbook style page entitled, Who is your Hero? Here your child can write about and place a picture of their favorite hero. My children's favorite aspect of this book was looking for the hidden Bible references. Throughout the illustrations, there are nine Bible verses hidden within. My 8 year old and 6 year old loved looking for these! I am excited to see this book hit the shelves. It will be an excellent resource for families all across this nation and holds such an important and powerful message for young readers! Disclaimer: I received an e-copy of the above product for the purpose of this review. All thoughts expressed here are my own.